Worldwide climate change and increased cost effectiveness of renewable energy fuel the transition to a sustainable energy system. One of the trends that became visible is that of increased distributed generation, in plain English: production of electricity close to the location of electricity demand. Distributed generation keeps costs of electricity low and creates a system that is resilient in terms of intended or unintended system break downs. Distributed generation systems also lead to less energy import dependency, which is a strategic geopolitical advantage. 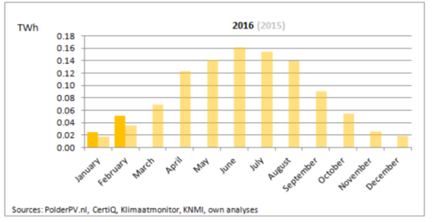 Seasonal production complementarity of solar and wind energy in the Netherlands (source). The costs of solar energy and large scale wind energy have come down dramatically over time. Unfortunately it is not always possible to use large scale wind turbines for reasons of spatial planning, local grid quality, or local weather conditions (such as hurricanes). In such cases it would be very valuable to have small scale, cost effective wind turbines available. Unfortunately existing small wind turbines (up to 50 kW and 50 meter height) are not cost effective for a number of reasons. First, they don’t reach the height necessary to be able to catch enough wind, especially inland and in low wind speed areas. Secondly they require (compared to their size and energy production) high costs for planning, installing and maintenance. The result is that electricity costs for most small wind turbines are in the €0,5 to €2,00 per kWh range, and that is an order of magnitude (ten times) too expensive to be a widespread solution. 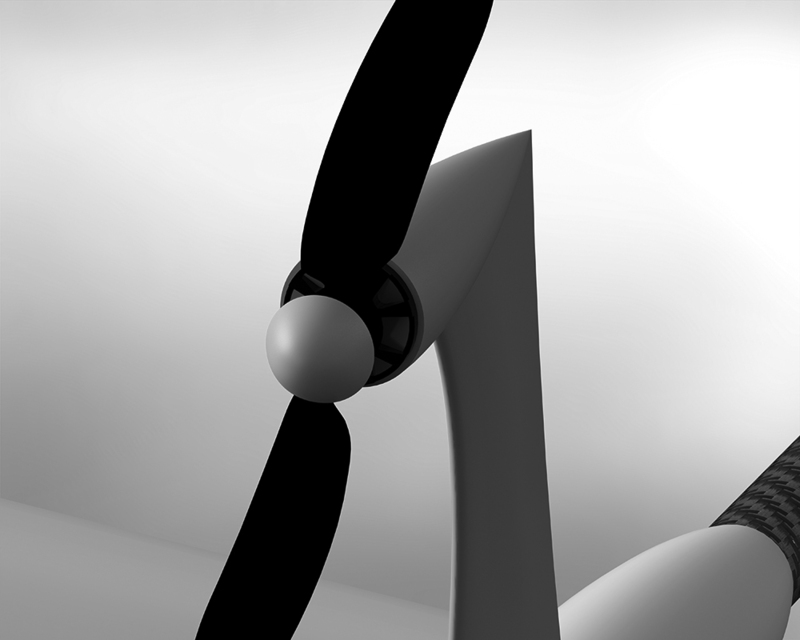 Creating a flying wind turbine that operates at sufficient height changes all of this.